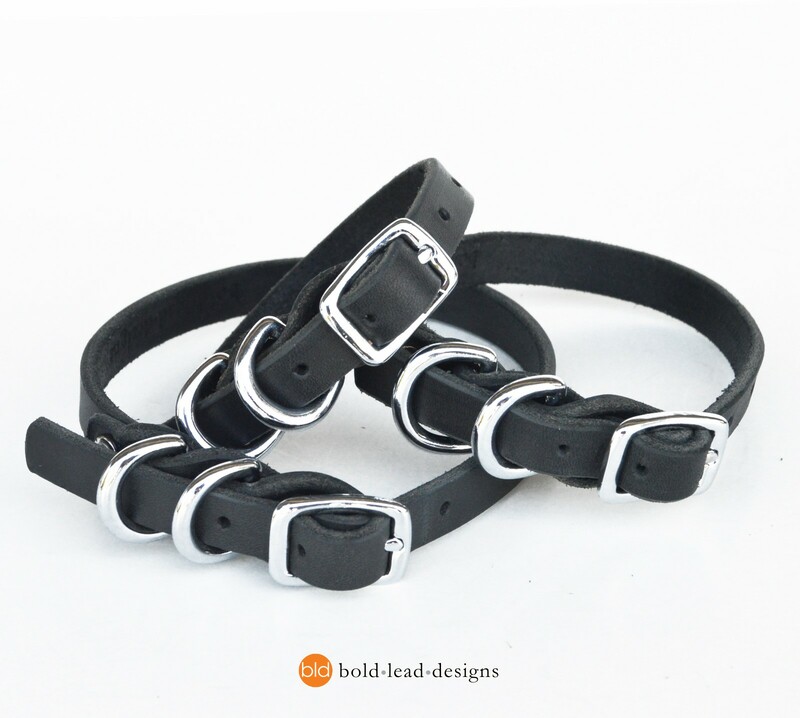 Designed exclusively for small breed dogs! 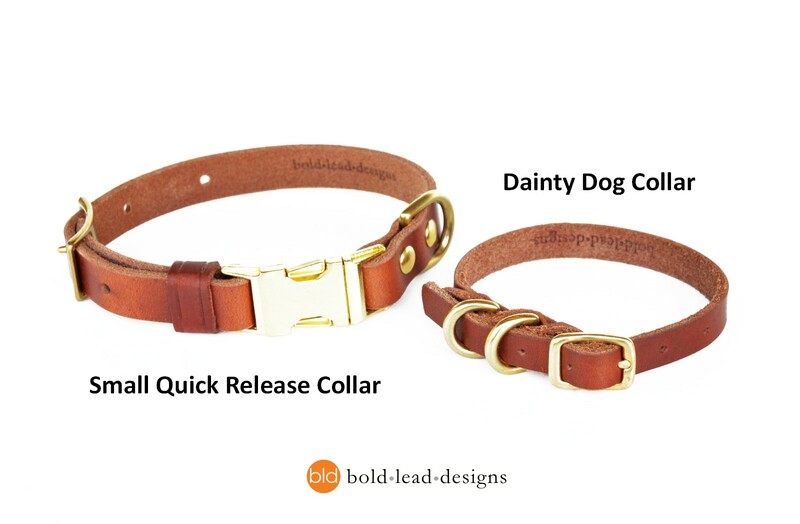 This sturdy collar has a classic brass buckle, beautifully crafted with BLD’s distinctive design and quality for years of dependability. 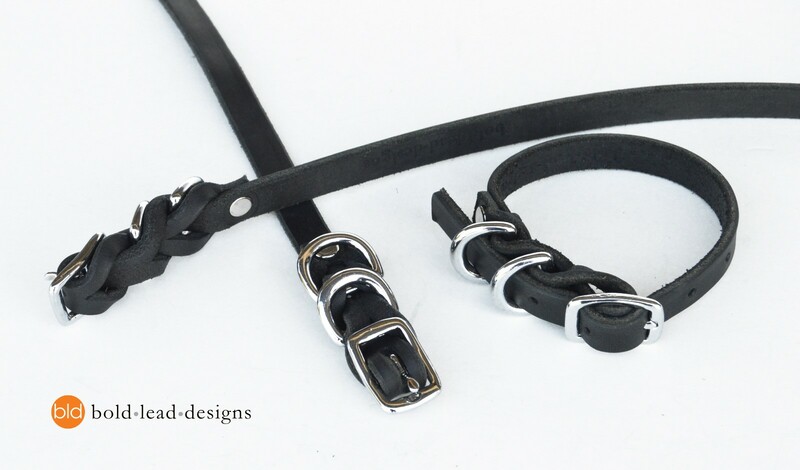 Artisan made in our own workshop with our famous premium American leather and top quality hardware featuring two d-rings and beautiful braided construction. 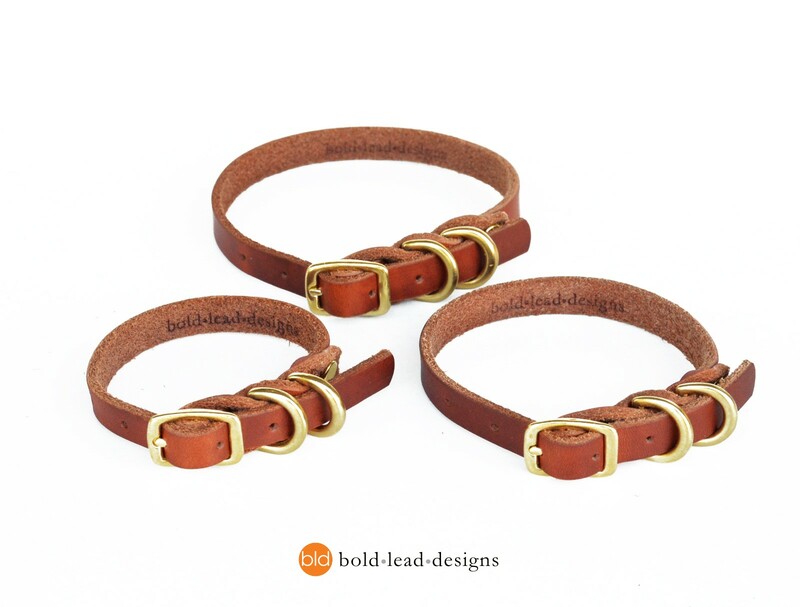 Add a matching Traditional Lead! 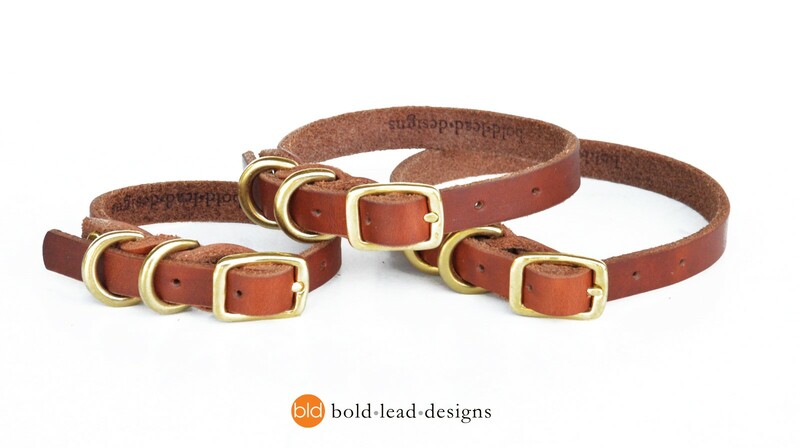 These beautiful leather collars are made from the same premium quality leather and solid brass hardware as our awesome leads, especially for small breed dogs. Unique braided-in double-D-ring design lets you use one ring for holding ID tags, and the other for the leash. There’s no fussy decoration to fade or wear out. 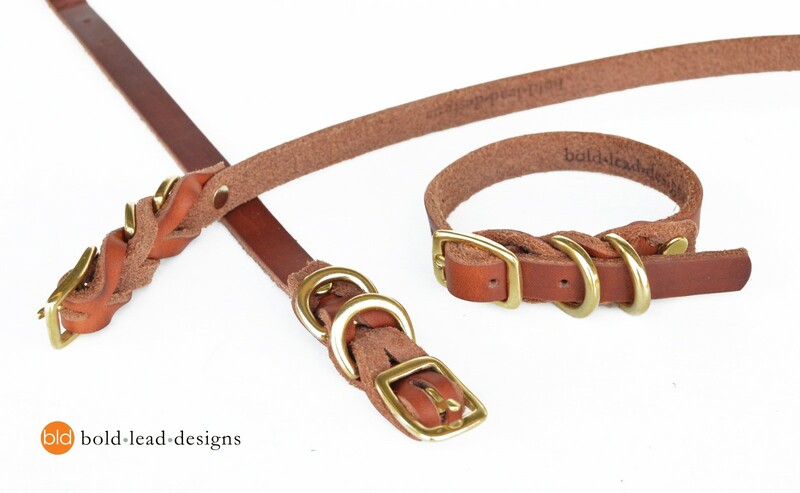 The edges of the leather are beveled for a smooth feel and are gentle on your dog’s coat. Go ahead, let your dog go swimming and roll in the mud—quality natural leather will outlast any fabric or synthetic material. 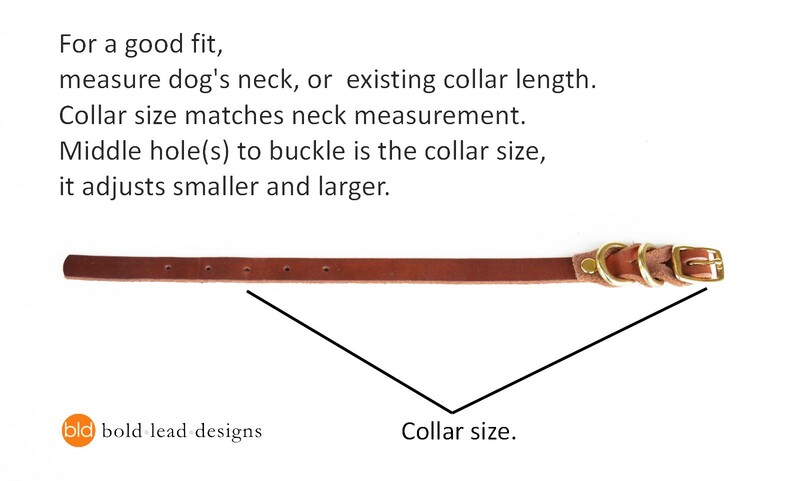 Our collars are measured to the MIDDLE HOLE to reflect the dog’s actual neck size! We think this is more accurate. 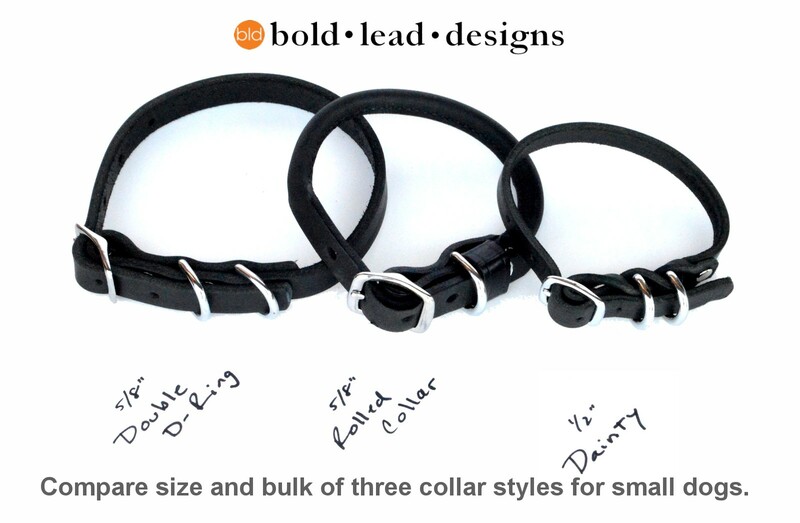 This collar adjusts 1.5” (3 cm) larger or smaller than listed measurement. 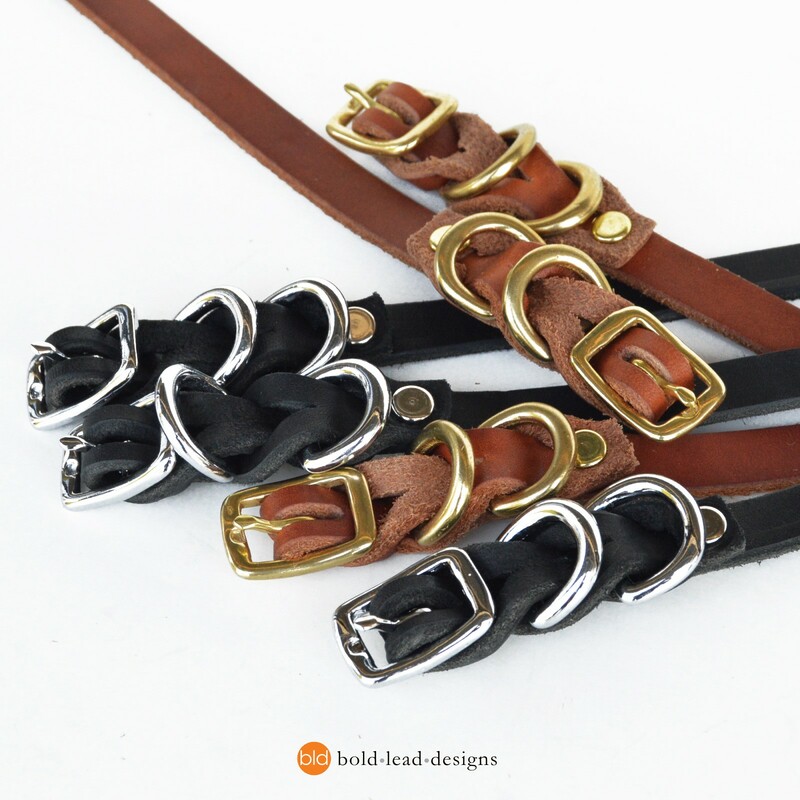 Choose from our beautiful Golden Tan Bridle leather with solid brass fittings (darkens to a beautiful chestnut brown), or lovely Black Latigo with silver fittings (chrome plated solid brass). 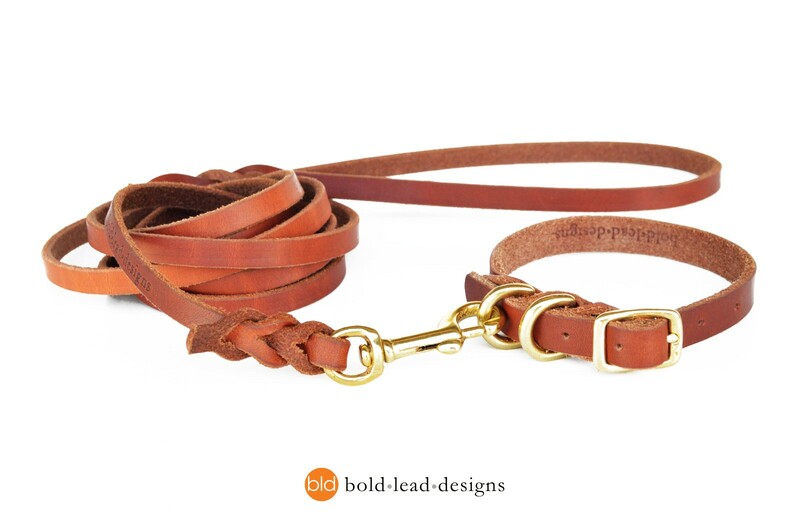 A perfect pairing with any of our leashes. NOTE: solid brass may tarnish and rub off on light colored / white dogs. 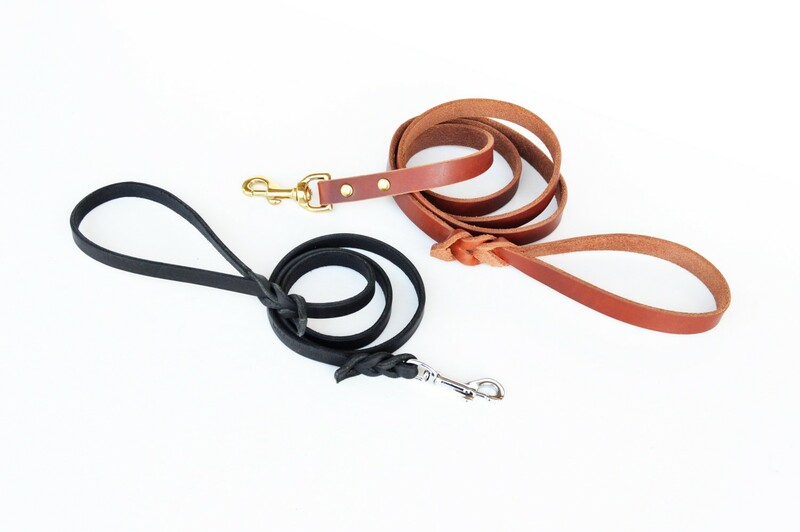 I absolutely love this collar and lead… sturdy and supple. 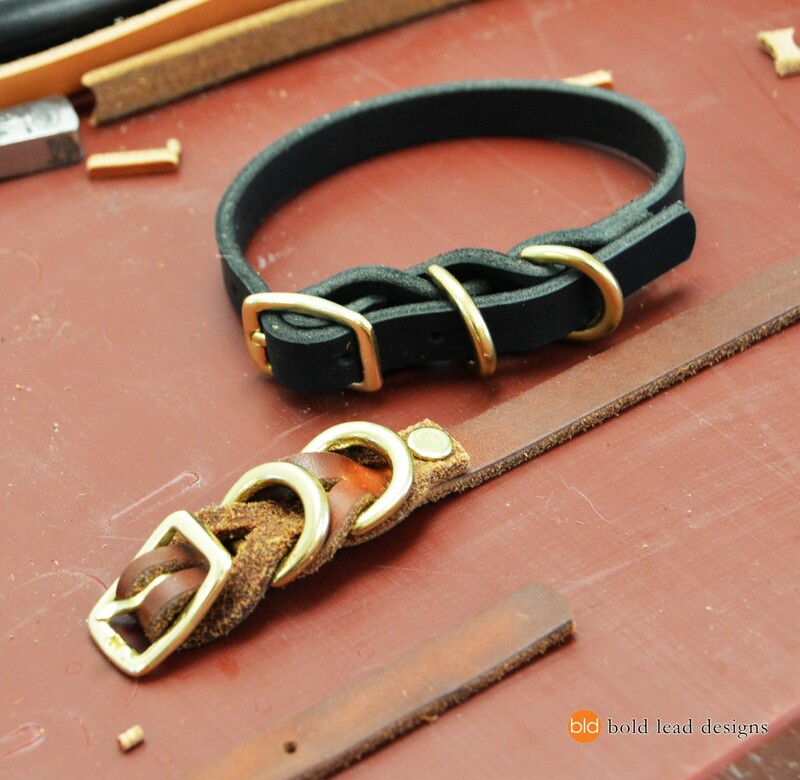 The quality of the leather, metal and workmanship is superior to anything else I have seen. I purchased it in black with chrome which looks very clean and classy on my sweet rescue girl. Had this collar about 3 year beautifully made and gets better with age. Perfect..